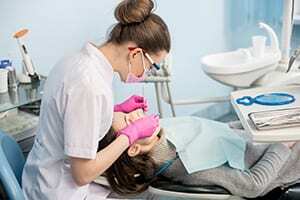 Insurance Solutions for Dental Practices. CG Insurance Group offers Dental Insurance products to help protect your practice from financial loss and potential malpractice claims, while you maintain your focus! You spend many years in school and learn how to become a dentist. Perhaps you had just one class that taught something about running a business. However, though being a dentist means running a small business, you want to focus on offering quality healthcare to your patients. CG Insurance Group represents the dental insurance program offered through Cincinnati Insurance Company. We provide malpractice insurance, as well as, the full spectrum of commercial liability products. Our program goes beyond standard insurance policies by including earthquake and flood as covered perils for your business personal property and business interruption insurance coverage. Professional liability when purchased provides coverage on an occurrence basis for professional services you performed during the policy period, no matter how much time passes before a claim is made. General liability defends and pays covered liability claims against you. If one of your patients falls, your policy safeguards your business assets. Hired and non-owned auto safeguards your business assets should you need to hire or rent a vehicle or if your employees use personal vehicles in your business. Umbrella Liability coverage gives you additional coverage to safeguard you and your business against catastrophic loss. Given today’s legal environment, an additional layer of protection further ensures your financial well being. Employment Practices Liability insurance (available in most states) offers affordable protection from suits brought against you by employees because of your hiring, firing, promoting or other employment practices.